I decided to make individual pies instead of one large one. That way I can freeze them and we'll always have a tasty dessert on hand. 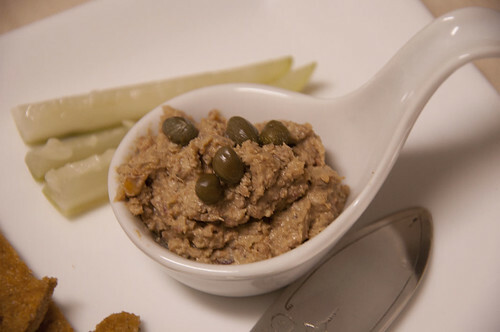 This beautiful snack was made with chicken livers leftover from the night before. I had a terrible craving for fried chicken livers. I lightly coated them in flour and fried them in butter, yes, butter. Paula Dean and PW would be proud of me. But, what to do with leftover fried chicken livers? 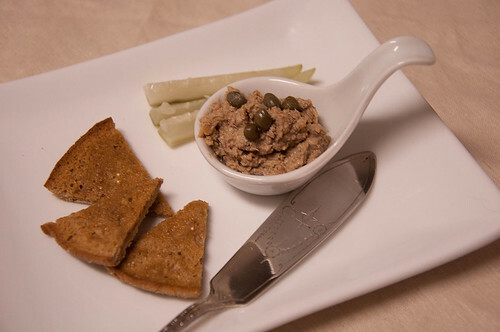 well...make paté what else. I used my favorite paté recipe from The Silver Palate Cookbook. I weighed the leftover chicken livers and adjusted the recipe accordingly. Of course I skipped the how to cook the livers portion and proceeded from there; though I think I might have accidentally added a little more Cognac. Trust me, I ate a heck of a lot more than that. I'm starting to look for some good winter meals so of course I went to my, go to cook book, The Silver Palate Cookbook for some wonderful recipes. Bingo! I wasn't disappointed. 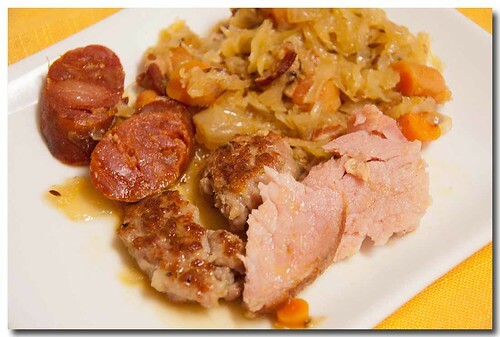 An Alsacian braise of pork, sausage, apple and sauerkraut, Oh Yeah baby! These are like tiny pecan pies-chewy, gooey and thick with pecans. Another Silver Palate Cookbook hit. 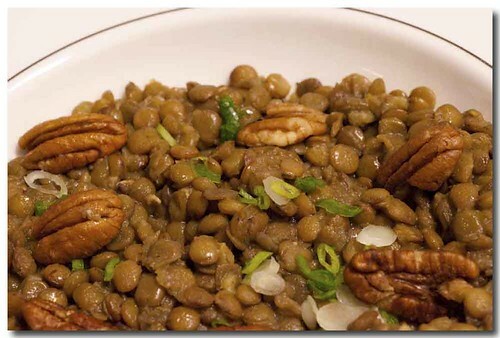 Lovely lentils dressed with a delightfull vinaigrette then topped with scallions and nuts. Another Silver Palate cookbook winner. Want an easy and crowd pleasing dish? you have to try this. 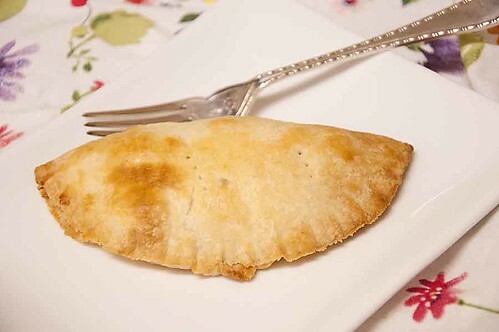 This recipe is from The Silver Palate Cookbook. It's so easy and so delicious I have a hard time not eating it, as is, by the spoonful. But this time I put it on a poached egg that was perched on top of bacon and a multi grain English Muffin.